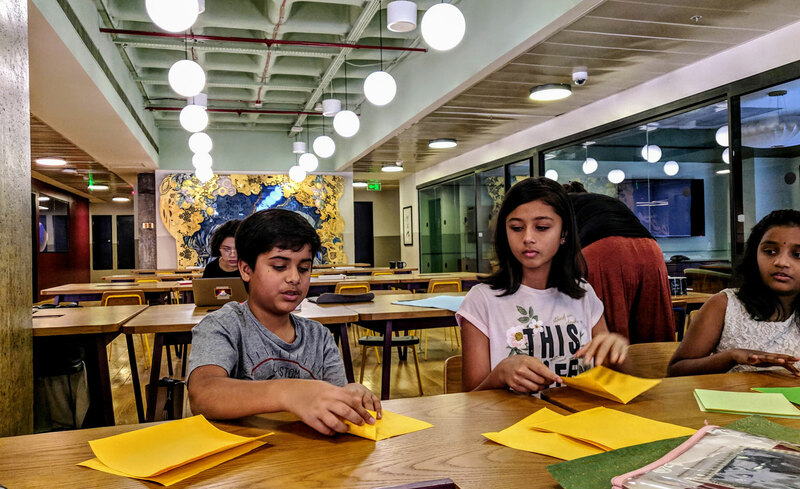 This workshop was designed to make your child learn a beautiful handmade origami paper lantern without sticking or cutting. 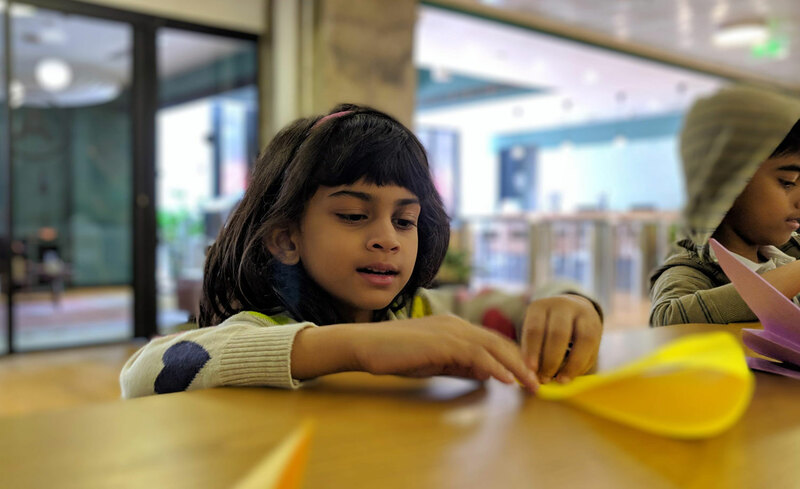 This fun filled session gave children endless possibilities in forms as well as an opportunity to relate it to the basic principles of geometry. 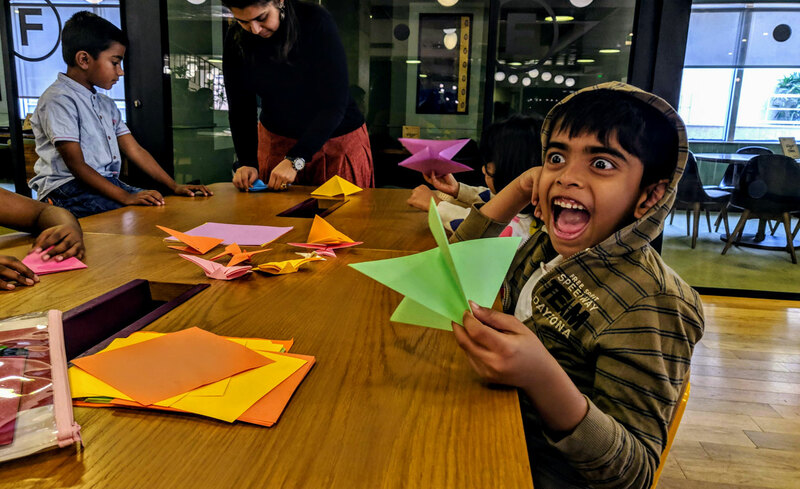 Designer: Mumbai based Aditi Anuj (@aditianuj) is an origami artist and has been in awe of the paper folding art since childhood. She pursued it as a career 8 years ago and is overwhelmed at the many intricacies of the craft. She wishes to explore and spread origami far and wide.